Tickets are available at the concessions stand in the lobby of the Athena Cinema during regular business hours. 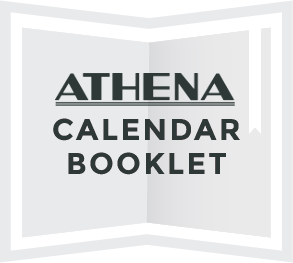 The Athena Cinema has a limited capacity in each of the three theaters and tickets are required for all events at the theater. Patrons are encouraged to secure tickets in advance of screenings or special events. In the event that all tickets have been issued for a free screening, patrons may be wait-listed to see if seats are available. Patrons with tickets must be in the theater at the start time of the screening or their seat will not be guaranteed. Tickets for free admission events are made available one week in advance. There is a limit of two tickets per person for each free event. If you wish to purchase tickets ahead of time by credit card, you may call the Athena office during daytime hours to purchase tickets over the telephone (740.594.7382). Office hours are 9:00 a.m. until 5:00 p.m. Please be aware that we cannot guarantee someone will be able to take your order by phone and the best way to guarantee a ticket is to purchase one in person during business hours. Saturday and Sunday 2:30–10:00 p.m. Hours are subject to change during summer and winter breaks and on holidays. Court Street is one-way (south to north). During the school year parking spots can be hard to come by. Parking is available in the Athens City Parking Garage on W. Washington Street. The parking garage is available for public parking 24 hours per day. Spaces are metered, so remember your quarters! The Parking Garage is centrally located: from Court Street, turn right onto Washington. The garage is on the right.